N3952B on the waterfront at Ketchikan - WFB, Alaska. N3952B at Tyee Spit, Campbell River, British Columbia. N3952B on Mt. Jumbo, Prince of Wales Island, Alaska. • 57-6107 United States Army. Delivered 25-Nov-1957 with serial 57-6107. Delivered to the Army at the US Army base at Niagara Falls, NY. Jan-1962 By this date it was serving with the 57th Aviation Company at Fort Sill, OK.
Mar-1963. Allocated to the Panama Control Zone. Unit unknown. Feb-1966. Inter-American Geodetic Survey (IAGS), based in the Panama Canal Zone but operated throughout Central and South America on survey duties. May-1970 352nd Aviation Company, Albrook AFB., Panama Canal Zone, serving until Feb-1974. • TI-SPG Guardia Civil Air Wing, Government of Costa Rica. Based Juan Santa Maria Airport, San Jose, Costa Rica. Regd Mar-1975. • (C-GAOG) Air Alma Inc., Alma, QC. Reserved 19-Mar-1975 but NTU. • (C-GAOJ) Aviation Labrosse & Fils Inc., Montréal, QC. Regd 04 Oct-1978. NTU. Accident: Guarnicion, Costa Rica,11th October. Details of accident unknown. Minor damage. Repaired. • C-GGON Purchased by Thomas Johnson, Lac du Bonnet, MB. Ferry markings and permit issued during Apr-1980 arriving in Winnipeg on 27-Apr-1980. • C-GGON Whiteshell Air Service Ltd., Lac du Bonnet. MB. 13-May-1980. Canx 02-Aug-1988. (Note owned by Thomas Johnson). Initially based at Nutimik Lake, MB, and later Lac du Bonnet. Re regd 02-Aug-1988. Canx 19-Jan-2005. Incident: Little Grand Rapids Airport, MB. 14-Nov-1994. The Otter was landing when the pilot lost directional control and “departed the runway surface”. The aircraft was un-damaged and the pilot and single passenger uninjured. Accident. 23rd June 2002. George Lake, MB. En route to Side Saddle Lake deteriorating weather was encountered. The pilot elected to land on the lake and wait for weather conditions to improve. While maneuvering to land on the lake, the Otter flew over rising terrain and struck trees, in the course of which damage was sustained. No details of any injuries. Rescued after a few hours. Temporary repairs on site and returned to base. Accident: North of its base at Lac du Bonnet. 22-May-2003 The pilot made an emergency landing in a wooded marsh when the engine failed following take off from Lac Du Bonnet. The four occupants required hospital treatment. Aircraft trucked back to Lac Du Bonnet for a hopeful repair. • C-GGON Adventure Air (3097448 Manitoba Ltd), Silver Falls, MB. Not on CCAR. Note Arrived at International Aero Products Inc., Courtenay, BC., on Vancouver Island, where a rebuild commenced. Power plant: Converted to Vazar turbine by International Aero Products . • C-GGON Aircraft removed from register 09-Jan-2005. Exported to USA 30-Jan-2006. • N3952B Reserved to Thomas Kirk, Ketchikan, AK. 23-Dec-2005. • N3952B Single Otter Leasing LLC., Ketchikan, AK. Regd 23-Oct-2006. (Owned by Thomas Kirk). • N3952B Leased to Promech, Ketchikan, AK. Circa 2011 . Note: Also seen at Key West, FL. In a different colour scheme. • N3952B Returned to Promech, Ketchikan, AK. Nov-2015. Until business closed down. Note Return route: 10 November,-Key West-Tallahassee;. 11 November, Tallahassee-Chennault International, Lake Charles, Louisiana-East Texas Regional;. 12 November, East Texas Regional-West Woodward Airport, Oklahoma-Cheyenne Regional, Wyoming; 13 November Cheyenne-Magic Valley Regional, Idaho-Yakima, Washington;.15 November Yakima-Bellingham-Nanaimo-Courtenay. It spent the winter at Courtenay and then 29 April 2016 Courtenay to Ketchikan. 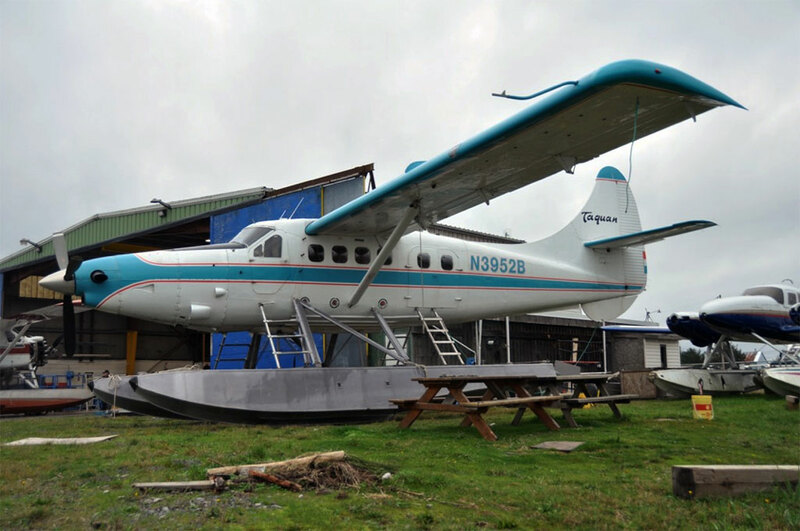 • N3952B Returned to Single Otter Leasing LLC., Ketchikan, AK. Nov-2015. • N3952B Blue Aircraft LLC., Ketchikan, AK. Regd 27-Dec-2017. Accident: Crashed on Mt. Jumbo, Prince of Wales Island 10 July 2018. All safe. Rescued by US Coast Guard. Two Coast Guard Air Station Sitka MH-60 Jayhawk helicopter crews rescue 11 people after a float plane crashed 39 miles south southwest of Ketchikan, Alaska, on Prince of Wales Island, July 10, 2018. All 11 people were taken to a staging area nearby for further transfer to Ketchikan. Otter 225 was delivered to the United States Army on 25th November 1957 with serial 57-6107 (tail number 76107). Its initial unit allocation is unknown but by January 1962 it was serving with the 57th Aviation Company at Fort Sill, Oklahoma. In March 1963 it went to the depot for maintenance and in August 1963 was allocated to the Panama Canal Zone. In February 1966 it joined the Inter American Geodetic Survey (IAGS), also based in the Panama Canal Zone, and for the next four years was active throughout Central and South America on survey duties. In May 1970, as the IAGS was winding down, it was allocated to the 352nd Aviation Company, based at Albrook AFB in the Canal Zone. Otter 225 was delivered to the United States Army on 25th November 1957 with serial 57-6107 (tail number 76107).It was delivered to an Army Air Base at Niagara Falls, NY. but by January 1962 it was serving with the 57th Aviation Company at Fort Sill, Oklahoma. In March 1963 it went in for depot level maintenance and in August ’63 was allocated to a unit in the Panama Canal Zone, where it was to serve for more than two years. In February 1966 it joined the US Army’s Inter American Geodetic Survey (IAGS), also based in the Canal Zone and for the next six years was active throughout Central and South America on survey duties. In May 1970, as the IAGS was winding down, it was allocated to the 352nd Aviation Company also based in Panama, at Albrook AFB. 76107 continued to fly for the 352nd for some years and was one of three Otters in service when the unit ceased to fly the Otter in February 1974. The following month, March ’74, all three Otters were transferred to the Government of Costa Rica and flown to San Jose where they were refurbished and repainted, prior to being put into operation by the Guardia Civil Air Wing. They were based at Juan Santa Maria Airport, San Jose and used for transport duties and border patrol. 76107 was registered TI-SPG in March 1975, the other two being 53255 (97) which was registered TI-SPE and 53258 (100) registered TI-SPF. Word of the arrival of these Otters in Costa Rica had evidently reached Canada, as soon offers to buy the aircraft were being made. Air Alma Inc of Alma, Quebec were so confident of having “clinched a deal” that on 19 March 1975 they reserved Canadian registration for the three Otters – C-GAOG for TI-SPG (225), C-GAOI for TI-SPE (97) and C-GAOJ for TI-SPF (100). The proposed purchase however did not proceed and all three aircraft entered service with the Guardia Civil. Air Alma lost interest but Aviation Labrosse & Fils inc of Montreal then entered into negotiations with the Costa Rican government to try and buy the aircraft. On 4 January 1978 Aviation Labrosse received a letter from attorneys acting on behalf of the Costa Rican government that it was still interested in selling the aircraft, but had been very busy and could not advance the negotiations. The talking continued and in October 1978 Aviation Labrosse believed they had a deal and applied for Canadian registrations. By that stage TI-SPF (100) had been written off (it crashed on 28 October 1977) and Air Alma confirmed they were no longer interested, so on 4 October ’78 registration C-GAOI was allocated to Aviation Labrosse for Otter 97 and C-GAOJ was allocated to them for Otter 225. They also received a Canadian Flight Permit for Importation for a flight by both Otters from San Jose, Costa Rica to St.Jean Airport, Montréal. At that stage TI-SPE had 5,549 hours total time on the airframe and TI-SPG had 4,338 hours. Again, however, the negotiations collapsed and both Otters remained in service with the Guardia Civil. TI-SPG suffered some damage in an incident at Guarnicion, Costa Rica on 11 October ’78 but was repaired. Both Otters continued in service until finally in 1980 the Costa Rican government did decide to sell the Otters. The buyer was Thomas Johnson of Lac du Bonnet, Manitoba. He purchased the two Otters as well as two Cessna 185s and one Cessna 180. He rounded up the required number of pilots, they travelled down to San Jose from where all the aircraft set off together for the long delivery flight to Canada. They all used Canadian ferry marks and comprised Otters C-GGON (ex TI-SPG), C-GGOR (ex TI-SPE), Cessna 180 C-GGOJ (ex TI-SPA) and Cessna 185s C-GGOH (ex TI-SPC) and C-GGOP (ex TI-SPD). Mr Johnson himself was flying one of the Otters. The pilot of the other Otter became ill while they were flying over the jungle but fortunately they found a jungle strip and landed. Later they continued on, landing at Managua in Nicaragua the continuing on via Mexico-Brownsville, Texas-Wichita, Kansas to Winnipeg. All five aircraft arrived in Winnipeg on 27 April 1980. At Winnipeg the Otters were overhauled and registered to Mr Johnson’s company Whiteshell Air Service Ltd,. TI-SPG (225) becoming C-GGON on 13 May 1980 and TI-SPE (97) becoming C-GGOR on 16 March 1981. At first the otters were based on Nutimik Lake but in 1984 they moved to the airfield at Lac du Bonnet, where Whiteshell Air Service had its hangar and offices and which was adjacent to the Winnipeg River from where the Otters could operate on floats. Both otters were painted in Whiteshell Air Service’s blue and white colour scheme with red trim. 76107 continued to fly for the 352nd for some years and was one of three Otters in service when the unit ceased to fly the Otter in February 1974. The following month, March 1974, all three Otters were transferred to the Government of Costa Rica and flown to San Jose where they were refurbished and repainted, prior to being put into operation by the Guardia Civil Air Wing. They were based at Juan Santa Maria Airport, San Jose and used for transport duties and border patrol. 76107 was registered TI-SPG in March 1975, the other two being 53255 (97) which was registered TI-SPE and 53258 (100) registered TI-SPF. Word of the arrival of these Otters in Costa Rica had evidently reached Canada, as soon offers to buy the aircraft were being made. Air Alma Inc of Alma, Quebec were so confident of having “clinched a deal” that on 19 March 1975 they reserved Canadian registration for the three Otters – C-GAOG for TI-SPG (225), C-GAOI for TI-SPE (97) and C-GAOJ for TI-SPF (100). The proposed purchase however did not proceed and all three aircraft entered service with the Guardia Civil. Air Alma lost interest but Aviation Labrosse & Fils Inc., of Montréal then entered into negotiations with the Costa Rican government to try and buy the aircraft. On 4 January 1978 Aviation Labrosse received a letter from attorneys acting on behalf of the Costa Rican government that it was still interested in selling the aircraft, but had been very busy and could not advance the negotiations. The talking continued and in October 1978 Aviation Labrosse believed they had a deal and applied for Canadian registrations. By that stage TI-SPF (100) had been written off (it crashed on 28 October 1977) and Air Alma confirmed they were no longer interested, so on 4 October ’78 registration C-GAOI was allocated to Aviation Labrosse for Otter 97 and C-GAOJ was allocated to them for Otter 225. They also received a Canadian Flight Permit for Importation for a flight by both Otters from San Jose, Costa Rica to St.Jean Airport, near Montréal. At that stage TI-SPE had 5,549 hours total time on the airframe and TI-SPG had 4,338 hours. Again, however, the negotiations collapsed and both Otters remained in service with the Guardia Civil. TI-SPG suffered some damage in an incident at Guarnicion, Costa Rica on 11 October 1978 but as repaired. Both Otters continued in service until finally in 1980 the Costa Rican government did decide to sell the Otters. The buyer was Thomas Johnson of Lac du Bonnet, Manitoba. He purchased the two Otters as well as two Cessna 185s and one Cessna 180. He rounded up the required number of pilots, they travelled down to San Jose from where all the aircraft set off together for the long delivery flight to Canada. They all used Canadian ferry marks and comprised Otters C-GGON (ex TI-SPG), C-GGOR (ex TI-SPE), Cessna 180 C-GGOJ (ex TI-SPA) and Cessna 185s C-GGOH (ex TI-SPC) and C-GGOP (ex TI-SPD). Mr Johnson himself was flying one of the Otters. The pilot of the other Otter became ill while they were flying over the jungle but fortunately they found a jungle strip and landed. Later they continued on, landing at Managua in Nicaragua the continuing on via Mexico-Brownsville, Texas-Wichita, Kansas to Winnipeg. All five aircraft arrived in Winnipeg on 27 April 1980. At Winnipeg the Otters were overhauled and registered to Mr Johnson’s company Whiteshell Air Service Ltd, TI-SPG (225) becoming C-GGON on 13 May 1980 and TI-SPE (97) becoming C-GGOR on 16 March 1981. At first the otters were based on Nutimik Lake but in 1984 they moved to the airfield at Lac du Bonnet, where Whiteshell Air Service had its hangar and offices and which was adjacent to the Winnipeg River from where the Otters could operate on floats. Both otters were painted in Whiteshell Air Service’s blue and white colour scheme with red trim. Both of these Otters went on to give many years of excellent service to Whiteshell Air Service, mostly flying hunters and fishermen to camps and lodges during the summer months. As its website explained: “Whiteshell Air Service operates a full American Plan lodge, five remote lake outpost cabins, three remote lake tent camps and nine boat caches in three of Manitoba’s parks, the Whiteshell Provincial Park, Nopiming Provincial Park and the Great Atikaki Wilderness Park. 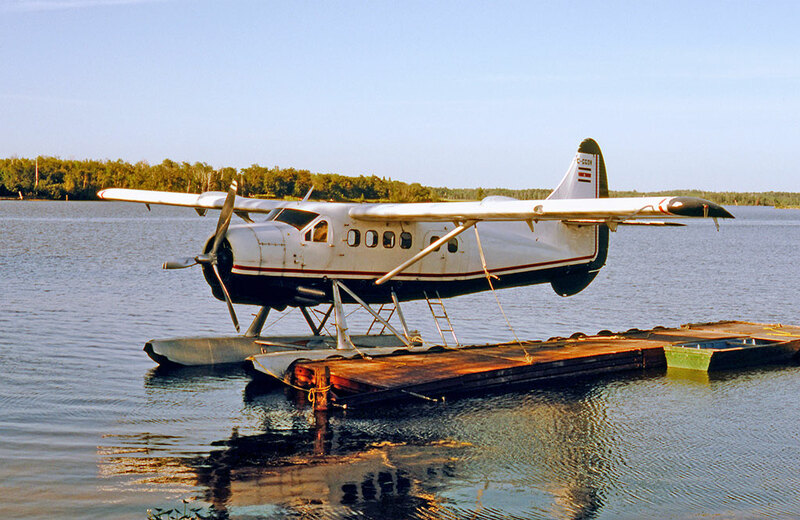 Whether you are seeking fly-in fishing, a sightseeing trip or a remote canoeing experience, Whiteshell Air Service can provide air transportation for your needs. To access our lodge, cabins and camps flights are made with our float planes, consisting of two Otters, one Beaver and two Cessna 185s. Our float planes are also available on wheel/skis for winter charters. We also have a Piper Navajo and a Navajo Chieftain available for charter out of Lac du Bonnet Regional Airport, which is adjacent to our float base and hangar”. Otter C-GGON was involved in a minor incident which occurred on 14 November 1994. The Otter was landing on runway 36 at Little Grand Rapids, Manitoba on a flight from Lac du Bonnet. A normal two point landing was accomplished by the pilot, who had a sixty degree crosswind from the left at 15 gusting to 25 knots. As the tail wheel came in contact with the runway, rudder authority was lost and the aircraft departed the landing area and came to a stop beside the runway. As the report noted: “The aircraft was flown back to its base at Lac du Bonnet where maintenance will inspect the tail wheel steering mechanism”. Some years later, on 23 June 2002, C-GGON was involved in another incident. It was en route to Side Saddle Lake when deteriorating weather was encountered. The pilot elected to land at George Lake, Manitoba and wait for weather conditions to improve. While manoeuvring to land on the lake, the Otter flew over rising terrain and struck trees, in the course of which it was damaged. The pilot activated the ELT and was rescued by SAR aircraft six hours later. Temporary repairs were carried out on site and the Otter flown back to base at Lac du Bonnet. It returned to service after permanent repairs. Sadly to relate, C-GGON was involved in a much worse accident just under a year later, on 22 May 2003, having flown only 40 hours since its repair following the previous incident. 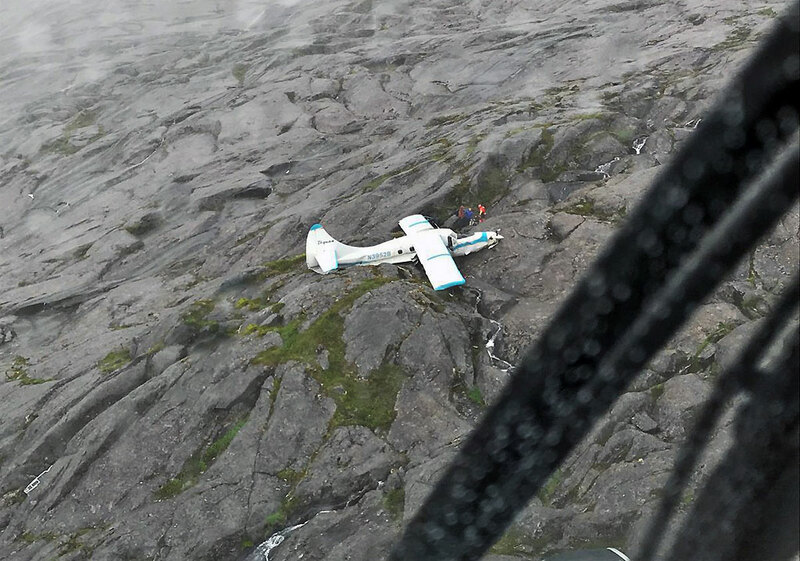 The subsequent Transportation Safety Board of Canada report summarised the accident as follows: “The float-equipped Otter departed the Lac du Bonnet water base at 11:00 hours that morning with one pilot and three passengers on board on a VFR flight to George Lake. The pilot completed a normal take-off from the Winnipeg River in an easterly direction and began a shallow climb over the shoreline. As the aircraft levelled at four hundred feet there was a loud backfire, followed by a complete loss of engine power. The pilot force landed straight ahead. The aircraft struck several large trees and came to rest in a swampy area. The aircraft struck the ground on its left side, both wings broke off and the engine was buried in the swampy ground. The four occupants received injuries and were taken to hospital”. The Otter had been flown by the owner of the company who had extensive flying experience, with over 32,000 flying hours, over 8,000 on the Otter. The engine failure had occurred due to a failure of the number three cylinder. The wreck of the Otter was retrieved from the crash site and trucked back to base at Lac du Bonnet, where it was noted in October 2003 undergoing a slow rebuild in the Whiteshell Air Service hangar. This continued throughout 2004, with a view to the Otter being ready for service again in Spring 2005. However, the end of an era came at the conclusion of the summer season in October 2004. After 23 years of operation Whiteshell Air Service retired its Otters and was closed down. Its active Otter C-GGOR (97) was put into winter storage at Lac du Bonnet as usual and was put up for sale. C-GGON (225) not yet rebuilt after its accident was also offered for sale. The registration of both otters to Whiteshell Air Service was cancelled on 19 January 2005. Both Otters were purchased by Adventure Air (3097448 Manitoba Ltd) of nearby Silver Falls, Manitoba. According to Adventure Air a decision would be made when C-GGON was rebuilt, as to whether it would be put into operation by the company or sold. In the event they decided to sell. By August 2005 C-GGON had been trucked from Lac du Bonnet to the facility of International Aero Products Inc., at Courtenay, BC., on Vancouver Island where its rebuild continued. In the course of the rebuild it was converted to a Vazar turbine Otter. The Canadian registration was cancelled on 30 January 2006 and it was re-registered N3952B on 7 February 2006 to Single Otter Leasing LLC., of Ketchikan, Alaska. This is a company owned by Kirk Thomas who had previously operated Tyee Airlines, which had flown a number of Otters based out of Ketchikan. When that company had been sold in 1985 Kirk Thomas subsequently traded in aircraft and formed Single Otter Leasing LLC., as his leasing company. N3952B went on long term lease to Pro Mech Air at Ketchikan, painted in its green and white colours. It was used alongside Pro Mech’s other Otters to fly cruise ship passengers on sight-seeing flights. N3952B continued to fly for Pro Mech Air out of Ketchikan until the end of the summer 2012 season. The owner of Pro Mech Air hailed from Florida, and in May 2010 he had established an Otter operation in Florida, known as Key West Seaplane Adventures, which was based at Key West and was associated with Pro Mech Air. 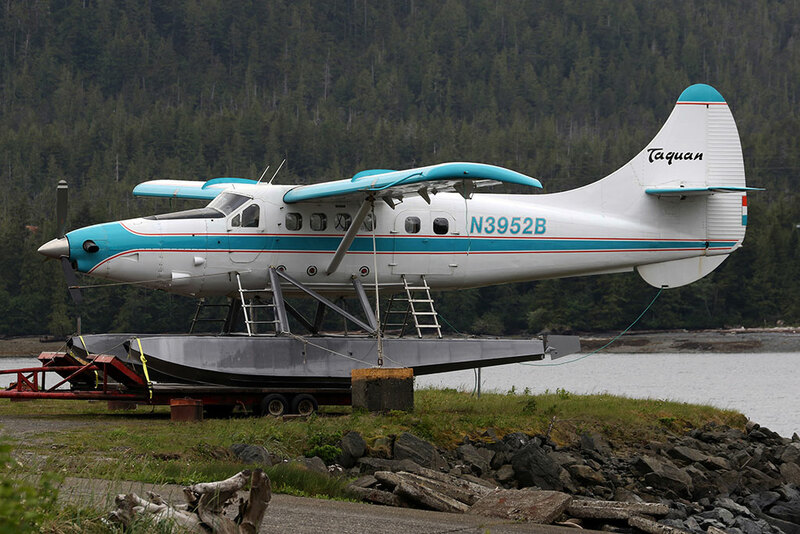 It operated tourist flights to the Dry Tortugas National Park and Pro Mech Otter N435B (183) was dispatched from Ketchikan to Key West as its first aircraft. N3952B was to be the second Otter and in November 2012 it flew from Ketchikan to Vancouver where it was overhauled by Aeroflite Industries and repainted into a new colour scheme of white overall, light blue cheatline with thin red surrounds, light blue wing leading edge and tip of tail. It was put on amphibious floats and commenced its long cross-country ferry flight to Florida. The routing was: 18 December 2012 Vancouver to Ogden Hinckley Airport, Utah; 19 December Ogden to Fremont County Airport, Canon City, Colorado; 20 December Fremont to Greenwood Leflore Airport, Mississippii, flight time 5 hours 3 minutes at 11,500 feet working Denver Centre, Kansas City Centre, Fort Worth Centre, Memphis Centre; 21 December 2012 Greenwood to Key West International Airport in 4 hours 37 minutes. It entered service with Key West Seaplane Adventures flying alongside N435B. It was noted there in March 2015 on a test flight after two days of cancelled flights due to torrential rain and thunderstorms. An incident was recorded at Key West on 30 July 2015 when the left main gear collapsed on landing. The Otter had ten passengers plus the pilot on board and was soon repaired and back in service. After nearly three years in Florida, in November 2015 N3952B left the “Sunshine State” and headed back towards Vancouver, having been replaced in service with Key West Seaplane Adventures with Pro Mech Otter N379PM (379). The full routing which N3952B took for its return flight is not known but it does feature on the flight tracker website on 13 November 2015 en route from Magic Valley Regional Airport, Idaho to Yakima, Washington and then onwards to Vancouver. It appears that it spent the winter at Courtenay, BC on Vancouver Island as it was noted there late April 2016 about to fly north to K etchikan. That month the Pro Mech operation in Ketchikan was closed down. Accordingly, N3952B returned to its owner Kirk Thomas /Single Otter Leasing LLC., ready for the next stage of its long career. It went on lease that month to Taquan Air, which had taken over the Pro Mech operation out of Ketchikan. Taquan were using three turbine Otters, N409PA, N959PA as well as N3952B. On 2 June 2017 N3952B was registered to S&S Aircraft Leasing Inc of Ketchikan but the lease to Taquan Air continued and the Otter was given Taquan Air titles. The Otter arrived at Campbell River in November 2016 for overhaul by Sealand Aviation at its facility at the airport. This work was completed in April 2017 but instead of departing from the airport, the Otter was taken to the Sealand Aviation facility at the Spit, where it was re-assembled and put on floats and departed back to Ketchikan from there. On 27 December 2017 N3952B was registered to Blue Aircraft LLC., of Ketchikan, the Taquan Air holding company, and continued in service with Taquan Air during summer 2018. This continued until a serious accident on Tuesday 10 July 2018. At 07:50 that morning, the Otter took off from Steamboat Bay on Noyes Island on a VFR flight to bring ten passengers, who had been staying at a fishing lodge on the Island, back to Ketchikan. There were eleven souls on board, the pilot (who was aged 72) and his ten passengers. The flight would be over an area of remote inland fjords, coastal waterways and steep mountainous terrain. Weather at the time of departure was low cloud and rain. As the flight progressed into an area known as Sulzer Portage on Prince of Wales Island, the visibility decreased rapidly from 3 to 5 miles to nil. In an attempt to turn around and return to VFR conditions, the pilot of N3952B initiated a climbing turn, but in doing so he became temporarily disoriented. Shortly after, he realised he was approaching an area of snow-covered mountainous terrain, so he initiated a steep climb. As the climb continued, the speed decayed and the Otter collided with rocky mountainous rising terrain. The Otter had come down on the side of Jumbo Mountain, at an elevation of 2,557 feet, nine miles west of Hydaburg and 34 miles south west of Ketchikan. In a statement subsequently given to investigators, a passenger said that as the flight progressed, he could occasionally see land and water, but sometimes not. There was consistent serious fog all around. The pilot was making numerous course deviations as he manoeuvred around the weather and at times all forward visibility was lost as they briefly flew in and out of cloud. He observed a large mountain loom directly in front of the aircraft. As they continued to approach the mountain, they entered cloud and the pilot added power and pitched up, but they impacted the side of the mountain. The crash occurred at 08:35 and the pilot immediately activated the ELT and after a few minutes phoned the emergency services on 911 on his cell phone. The Otter had come down on rising but flat barren rock, the initial impact destroying the floats. When it came to rest, both wings were hanging down, the propeller was bent and substantial structural damage had occurred to the lower fuselage as it travelled over the rock. Thankfully there were no fatalities but some of the passengers had sustained injury. At 08:43 the United States Coast Guard was notified of the accident, and also the Ketchikan Volunteer Rescue Squad. They arranged for five helicopters (AS350 Squirrels and OH-6 Cayuse) of Temsco helicopters to proceed from Ketchikan to a staging area near to the crash site. At 09:20 two Coast Guard MH-60J Jayhawk helicopters (one of which was serial 6015) launched from Sitka Air Station for the scene of the accident. Visibility was still very bad in the area but by this stage some of the passengers had been in contact with the emergency services and had given the co-ordinates of the crash site from the GPS data on their cell phones. At 10:47 the two Coast Guard Jayhawks had arrived in the area and located the downed Otter at 11:56. By 13:08 all eleven occupants had been winched up and flown to the staging area. Here they were medically assessed and then flown in the civilian helicopters to Ketchikan. It transpired that six of the passengers had received serious injuries and they were medevaced onwards to Seattle for specialist treatment. The pilot and the other four passengers were uninjured. On the weekend following the crash, the wreck of the Otter was slung out of the crash site by Temsco Helicopters Bell 214B N214TH. It was lifted to a barge some three miles away and taken by the barge to Ketchikan for specialist examination as part of the accident enquiry.